As the social media revolution unravels, the laws of social media success reflect a timeless wisdom. Most brands small and large use social media as a means of connecting to an audience, but it’s the ones following certain unwritten rules that are bubbling to the top. Beyond Facebook’s algorithm and before Google is a book, “The Seven Spiritual Laws of Success," by Deepak Chopra. It’s a pocket guide for living with the highest levels of integrity to create a productive and self-fulfilling life. These same laws can be a basis for many brands’ social media success. When we understand these laws and apply them to our social media business, we realize the potential. We see anything we put in motion with intention and integrity is achieved with greater ease and more success. To tap into the pure potentiality of social media, it’s critical to understand your brand’s true self. Connecting with your audience in the most authentic and genuine level is a must, and this means stepping away from ego-based actions. Adele’s tribute to George Michael at the 2017 Grammy’s had a rough start. In fixing it, she let her true self show through while on stage. Rushing in for the quick sell or skipping steps to develop a relationship can be a social media killer. It’s hard in today’s world to slow down when everything around us seems to be speeding up. Running a social media campaign, a social media business or your social media life is a constant race. Are you on fast forward, instant replay, or do you have a pause button? It’s the pause button that just might allow you to access the most potential. According to Chopra, finding the balance between stillness and movement makes it possible to access the most powerful potential. For your business, think about taking a timeout in between campaigns to observe and regroup, allow time to reflect, brainstorm, measure and reset. As a digital marketer or a manager of a marketing team, give yourself space and silence each day as a means to access more awareness, improved organizing power and newfound levels of creativity. These things are stripped from us in the always-on social media world. Take 30 minutes in the morning and 30 minutes at night or at the end of the day in complete silence by walking, meditating, relaxing, swimming or just sitting by yourself in a park. The one hour it will cost you will repay itself in less stress, more ideas and access to the most potential for you and your work life. If you are giving away what you expect to receive, the chances of you receiving increases dramatically. It does not have to be expensive or even cost anything. You can give using an expression, a compliment or a sign of gratitude. Help them, and in turn, they will be your biggest fans. 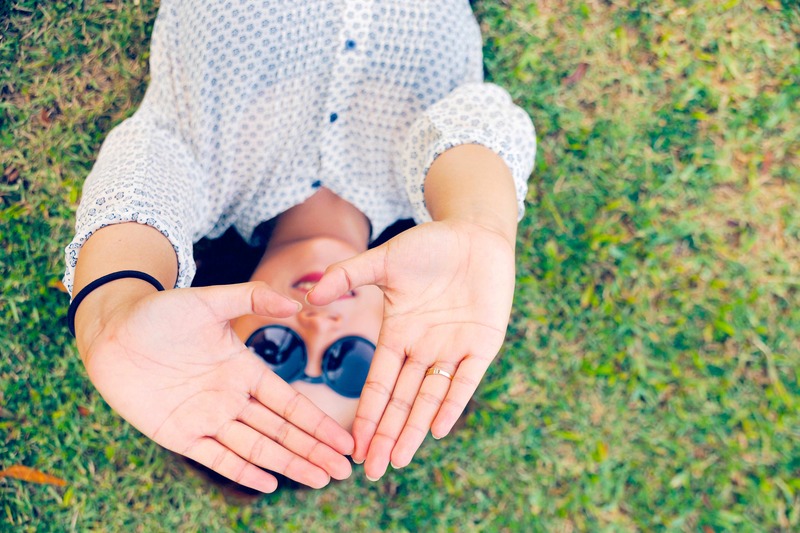 Giving someone your undivided attention is a hot commodity in today’s digital world. How often are you on a conference call checking emails or text messaging at the same time? “In Social Media and Community, the best thing a manager/associate can do is to give back to the person reaching out. Undivided attention, kindness, support, and even just giving the person someone to listen to a gripe are all forms of giving and are all great ways to show your company’s values to customers,” said Melissa Fach, social media expert and community manager for Pubcon. Wordstream, Hubspot, Simply Measured and Buffer are prime examples of digital marketing brands that give it away as a means to build relationship and trust. They provide a wealth of information. No strings attached, ranging from educational webinars, e-books, templates and more. For example, Larry Kim is the CEO Mobile Monkey and founder of Wordstream. He outputs a steady stream of wisdom via his social channels and publications including Search Engine Journal, Medium and Inc. It’s no surprise he has more than a half million Twitter followers and was named the search industry’s Personality of the Year! Like it or not, everything that is happening at this moment is a result of the choices we’ve made in the past, says Chopra. Social media blunders are a way of life, and there is no guarantee it won’t happen to you or your brand. It’s how you handle them that can add up to positive energy. La La Land’s producer racked up some major karma points for his gracious bow down to the Academy Awards “Best Picture of the Year,” and announcement of Moonlight as the actual winner. Monitor all your reviews, respond to feedback and generate more online reviews using BrightLocal's new Reputation Manager tool. The golden child start-up Uber might need to take some karma leadership lessons, noting recent headlines from the CEO’s argument with one of his drivers and a former employee’s blog post about sexual harassment. These are not examples of sending good karma vibes to the universe. There is an age-old principle known as the principle of economy of effort, or “to do less and accomplish more.” Quality, not quantity. “Least effort” might seem like it does not make sense in this social media world, but when your actions are motivated by pure love and passion for what you do, work doesn’t feel like work. More effort is always required when you hate your job, if you are doing something for the wrong reasons, or it is something that you are not happy doing. Follow your passion. Carve out time blocks that represent your most productive times of day. Focus on the most important thing to get done each day and do that first. Change can happen because of two things: attention and intention. Chopra explains that attention energizes and intention transforms. In social media management, like in life, we must know the power of attention and its connection to intention. Whatever you focus your attention on will grow stronger in your personal and social media life. Just like whatever you take your attention away from will wither away and fall apart. Dr. Wayne Dyer has another term for the power of intention. He calls it the power of attraction. “You don’t attract what you want. You attract what you are,” notes Dyer. Like attracts like in life and social media. Social media breeds positivity and there are studies that prove it. A Facebook study found that seeing positive posts influences people to post positive updates, seeing negative posts influences people to post negative updates and that an absence of emotion on their News Feed leads them to post less overall. Use positive words in messaging. Ask for what you want in a CTA. Shine through with positive emojis to add personality and depth to your communications. Need emoji help? 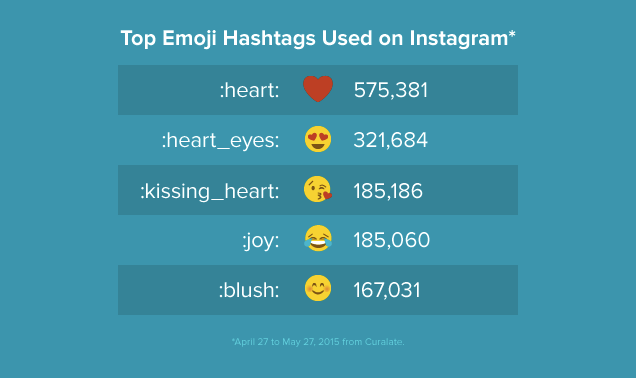 This article can help step up your game with emoji intention. This is a tough one for digital marketers to understand, living in a world attached to KPIs, goals, ROI and the analytics to track everything. The Law of Detachment says that to acquire anything in the physical universe, you have to give up your attachment to it. But wait, you’re not giving up your intention or the desire to achieve something. The only thing you are giving up is the attachment to the result. In the social media marketing world, we can’t get too attached to what’s going to happen next or try to control the outcomes. Yes, we should have goals, otherwise known as intentions and desires in the Chopra world. But when we start trying to apply rigid rules, we are squashing the potential for the possibility. 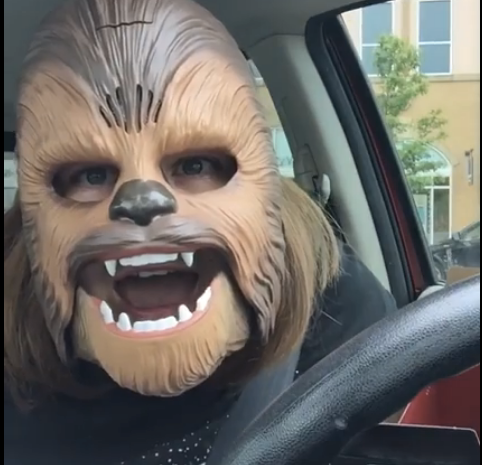 One example is creating a piece of content solely for the purpose of it “going viral.” When the now famous Chewbacca mom recorded her Facebook Live video, she did not plan on it being the most popular Facebook live video in 2016. The results put her on the map, demonstrated the power of Facebook Live video and also gave Kohl’s some of the most valuable user-generated content (UGC) imaginable. Give your audience the real you. Focus on quality of quantity. Have an editorial calendar that leaves room for the unexpected. Be on the lookout for the “Chewbacca mom” of your brand. When managing a brand’s social media, it’s important you are strategically aligning the brand’s mission with its audience. Be your true self, express your unique talents, and be of service or help to others, authentically and genuinely. Having an attitude of “how can I help?” versus “what’s in it for me?” is the difference between a social media disaster and social media success. Staying in line with the primary purpose of social media efforts is often a missed step, and brands can struggle when launching social media campaigns. Many times it turns into a spray and pray of social media messaging, doing a little of many things versus focusing on your primary purpose. Everything should lead back to that primary objective. Find or fine tune your brand voice. Be your mantra and represent your brand’s mantra. Like in life, the most successful brands look at social media as a practice rather than perfection. Without practice, nothing can be achieved. In-post Image #2: Sprout Social Emoji Marketing. Used with permission. In-post Image #3: Screenshot by Lisa Buyer of Facebook.com/CandacePayne.